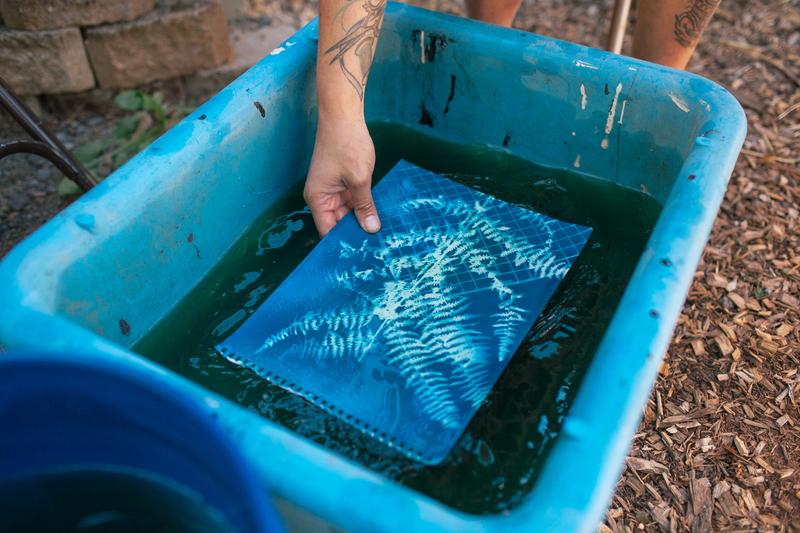 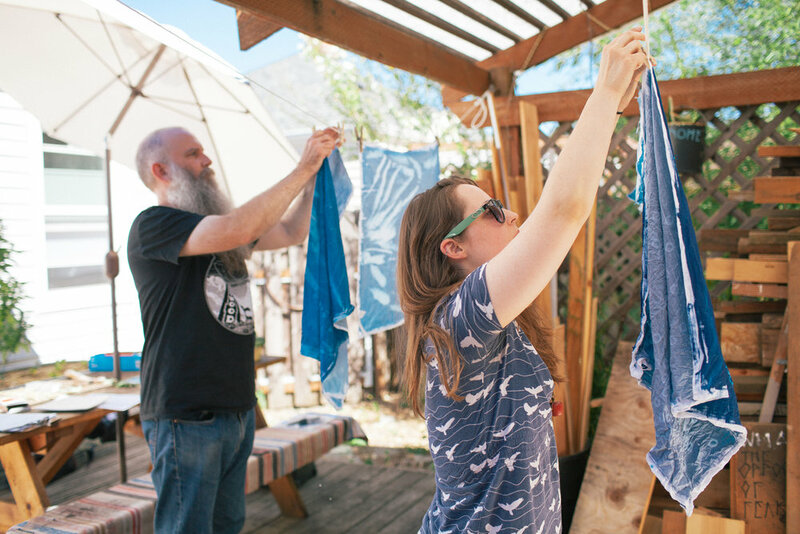 Join textile artist Ellen Julia Brown for a summer afternoon of cyanotype sun printing! 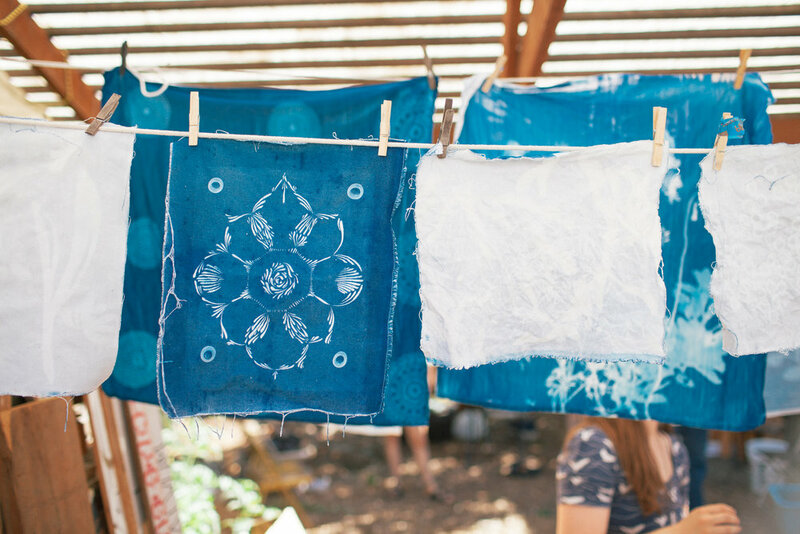 Learn the process from start to finish while making beautiful prints and sipping chilled beverages. 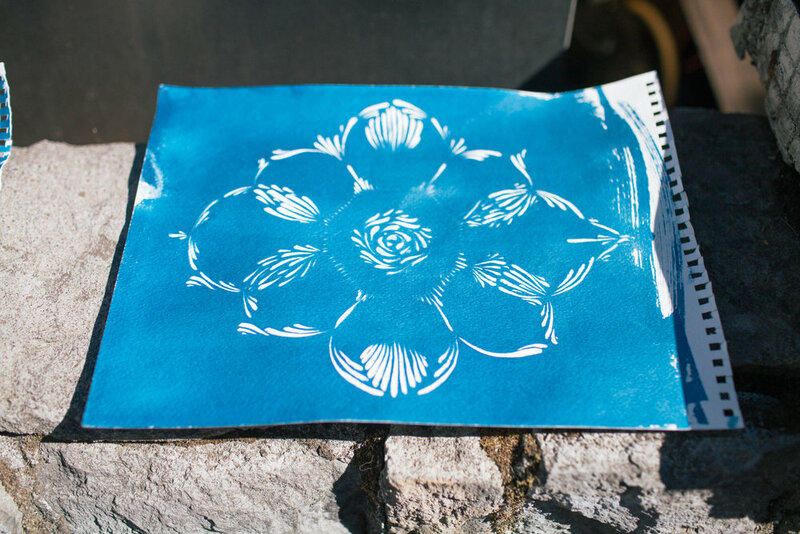 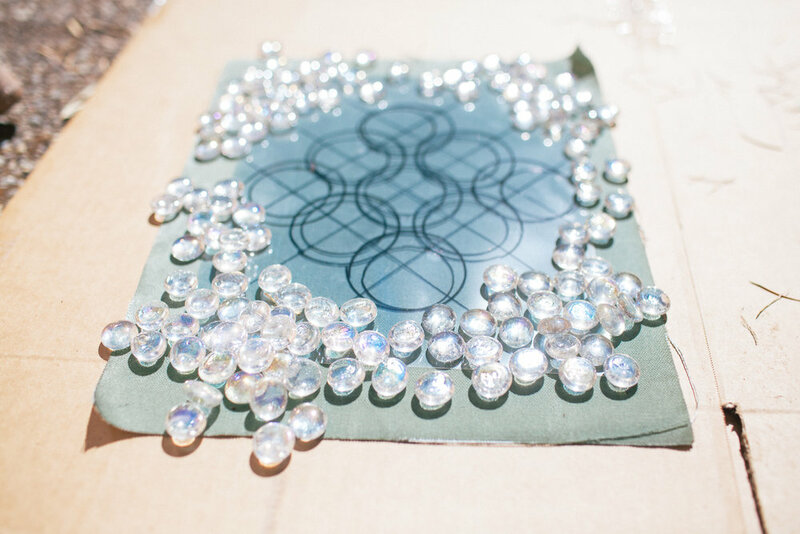 With an attitude of playfulness and experimentation, we will print with various objects, plant life, drawings, cut-outs, and anything else we can think up! 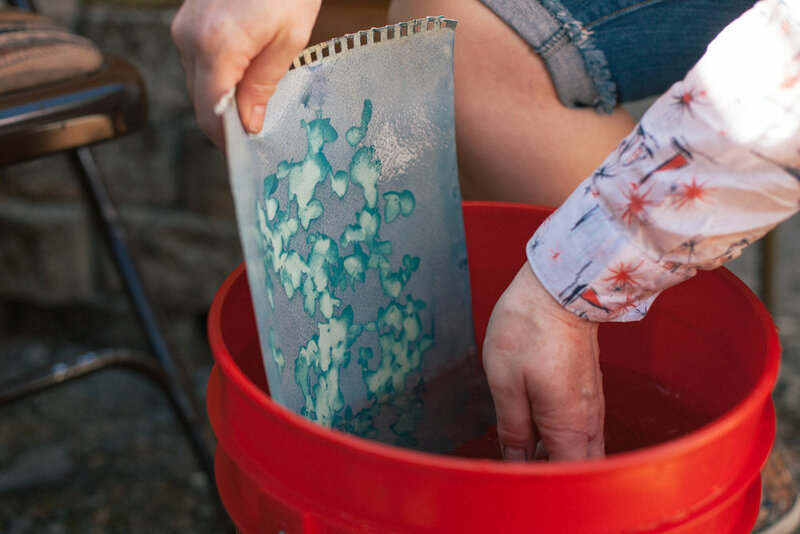 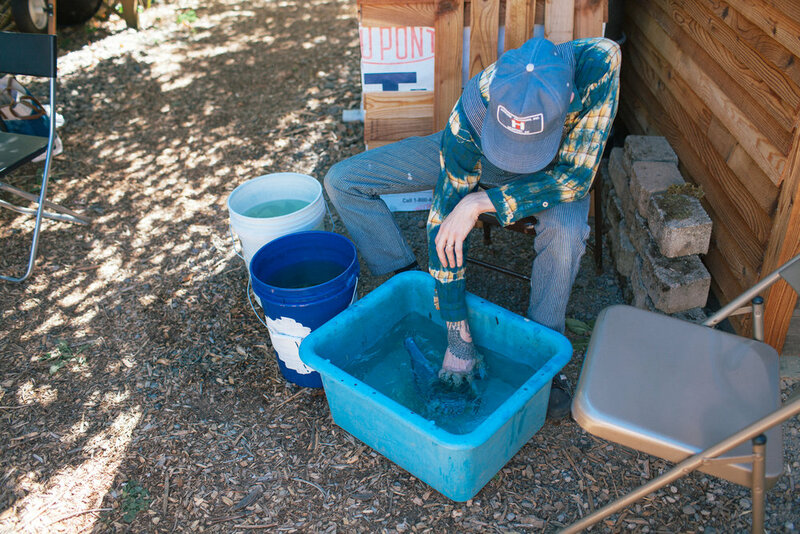 Over the course of the afternoon, students will learn the cyanotype process—beginning with how to mix their own chemicals, coat materials with photosensitive emulsion, and create contact prints outside in the sun. 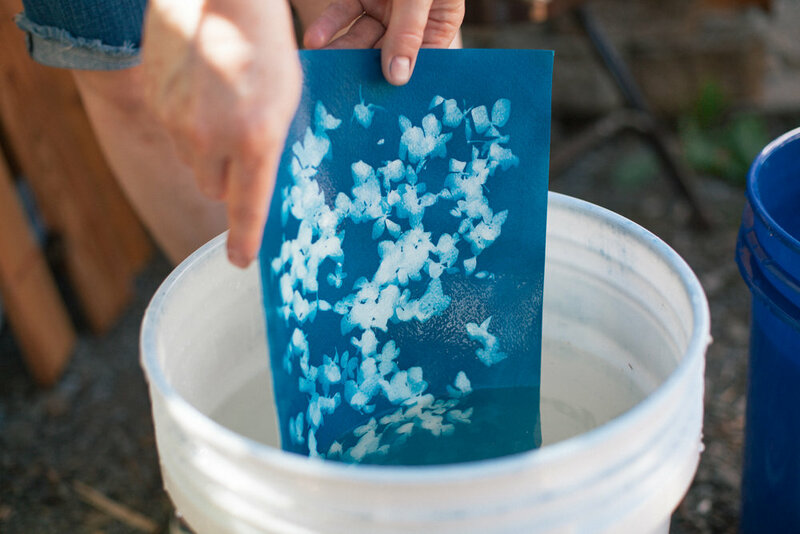 Invented by Sir John Herschel in 1842, the cyanotype medium is one of the first photographic printmaking processes, known for its Prussian blue color. 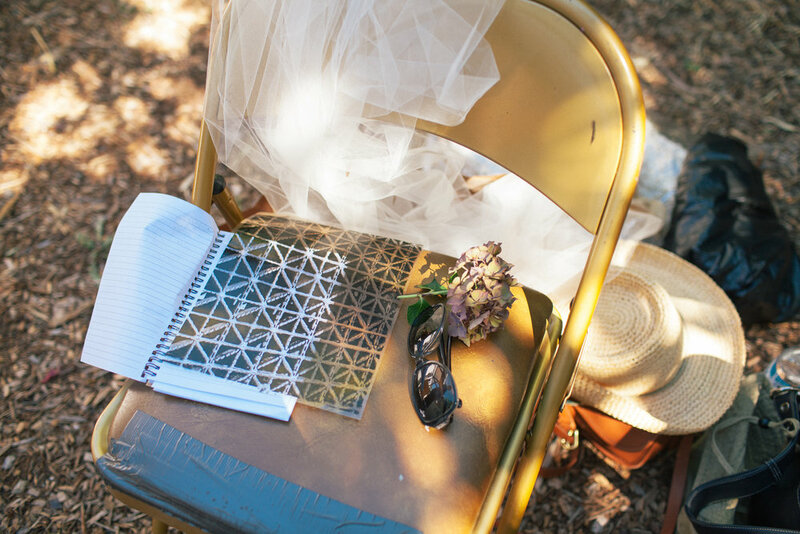 No prior experience or exposure is required. 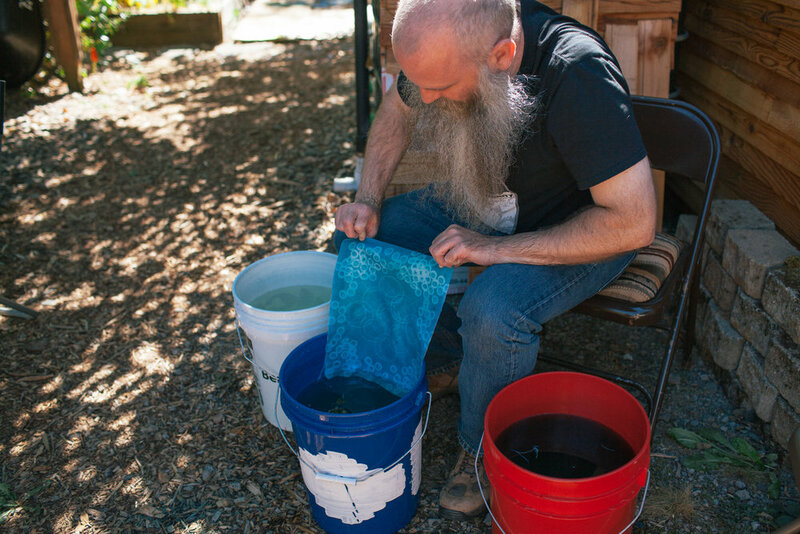 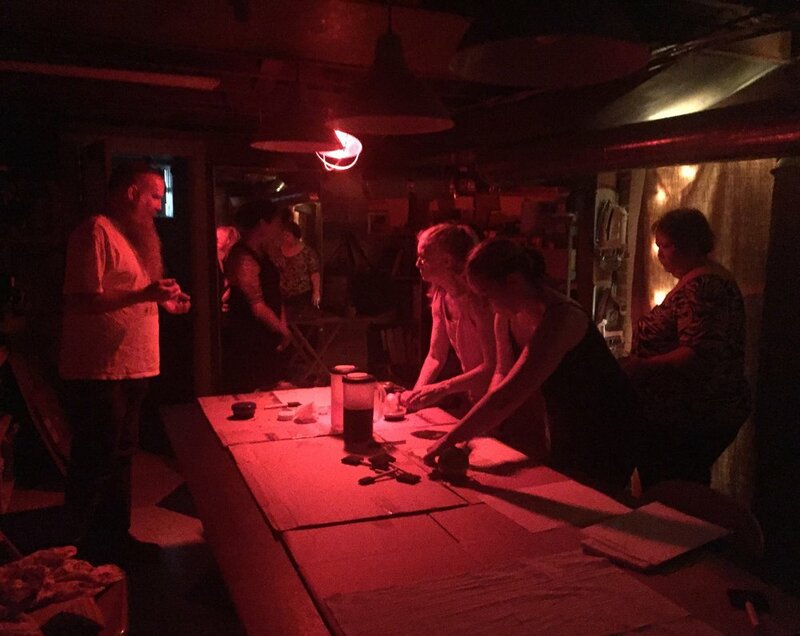 Cyanotype chemistry and a limited supply of paper, fabric, and printing objects will be provided.